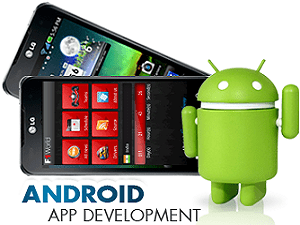 Android is a mobile operating system (OS) based on the Linux kernel and currently developed by Google. With a user interface based on direct manipulation, Android is designed primarily for touchscreen mobile devices such as smartphones and tablet computers, with specialized user interfaces for televisions (Android TV), cars (Android Auto), and wrist watches (Android Wear). The OS uses touch inputs that loosely correspond to real-world actions, like swiping, tapping, pinching, and reverse pinching to manipulate on-screen objects, and a virtual keyboard. A mobile software application developed for use on devices powered by Google's Android platform. Android apps are available in the Google Play Store (formerly known as the Android Market), in the Amazon Appstore and on various Android App-focused sites, and the apps can run on Android smartphones, tablets, Google TV and other devices.As with Apple and its Apple App Store apps, Google encourages developers to program their own Android apps. While many Android apps can be freely downloaded, premium apps are also available for purchase by users, with revenues for the latter shared between Google (30%) and the software developer (70%). Additionally, some Android Apps follow the freemium business model, wherein the app developer can derive revenue on free apps via Google's in-app billing capabilities.